It’s that time of year. Time for delicious smelling turkey and spending time with family. We’ve put together a list of some of our favorite recipes for the Thanksgiving table. The centerpiece of any Thanksgiving meal is the turkey. Everyone’s got a twist, from the black pepper pomegranate molasses, shalot-dijon gravy, to a peach rosemary glaze. For those looking for a fool proof classic turkey dinner, check out the Good Eats roast turkey. The big bird is the juicy star of the Thanksgiving show, so make sure you snag yourself one and get cooking! 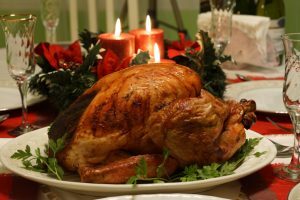 If you want to cook a little healthier, avoid buying self basted turkeys and just stick to breast meat. Not only is it lower in calories, but there isn’t the extra fat from the pre basting. 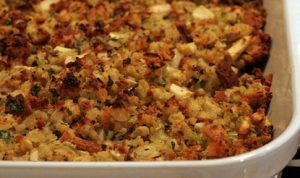 What Thanksgiving dinner wouldn’t be complete without stuffing? Sometimes, simplicity is best, but for those looking for some pizzazz, try out these variations. Sausage and herb, Ciabatta with chestnuts and pancetta, or a sausage, apple, and walnut stuffing. For those looking for healthier options, try substituting cauliflower for bread or going for a butternut squash recipe. Check out Food Network’s top 50 Thanksgiving recipes. Whether you liked them mashed or sweet, there’s no denying it–no Thanksgiving dinner wouldn’t be complete without potatoes. Between the traditional mashed potatoes or the sugary sweet pecan topped sweet potato casserole, we can’t pick a favorite. 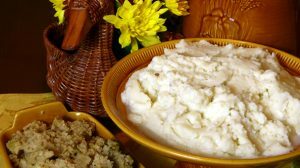 If you want to try a low-carb substitute for this Thanksgiving favorite, try mashed cauliflower. It will absorb any flavors you add to it without all the starch. 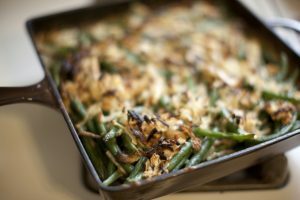 While there are a host of casserole recipes to choose from, we like the traditional green bean casserole. For those looking to try something new, take a look at the sweet potato and collard green casserole, or a broccoli casserole. For those looking to cut some calories, you can try these recipes without the bacon or breadcrumbs. There’s still a ton of flavor without them. Pie is a given on Thanksgiving. But with so many options, what should you prepare? 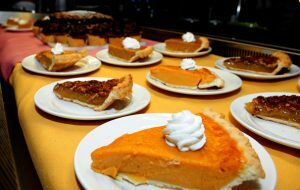 There’s the staple pies, pecan or pumpkin, or if you prefer something different, try a caramel apple pie. 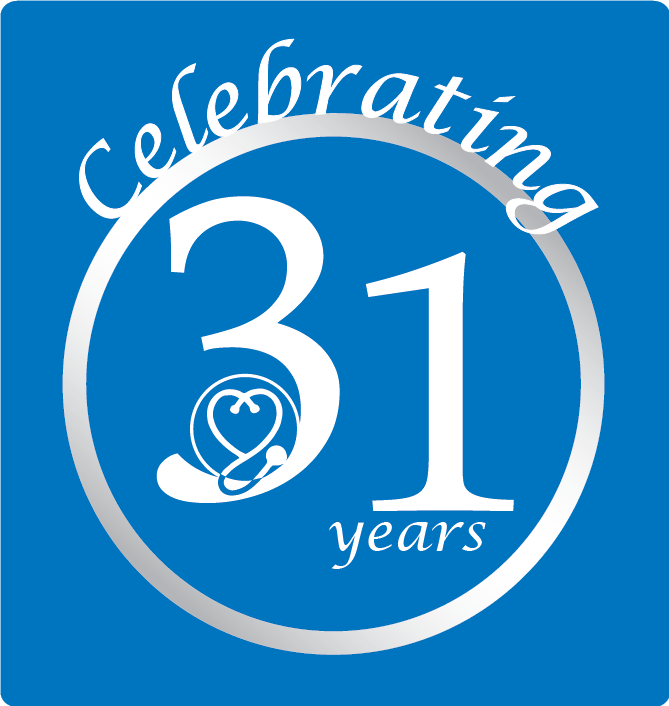 This entry was posted in Tips and tagged caregivers, cooking, seniors, thanksgiving. Bookmark the permalink. Comments are closed, but you can leave a trackback: Trackback URL.